Shortly after establishing a local presence in Thailand in September, Google announced its plans to launch Street View in the country as well. Six months later, Google has launched the service, with street level images now available in and around several Thai cities. The launch comes just days after Google made it possible to take a virtual tour of the Amazon. Now Google users can add Bangkok, Chiang Mai and the island of Phuket to the areas where it’s possible to go on an armchair tour. The service is set to expand to about six more Thai cities, as well as Thailand’s World Heritage cities, with the Tourism Authority of Thailand also inviting people to nominate places or landmarks to appear in Google Street View. According to The Nation, Google Street View resulted in an increase in tourism in Pompeii, Italy, and apparently the Thai tourist authorities are hoping for a similar effect following the recent launch. Google is offering the service in Thai as well, making it not only of interest to potential tourists, but will also, no doubt, be useful on a local level. According to the Wall Street Journal, Google’s Street View plans in Thailand were sped up, following the floods that hit Thailand in 2011. Google’s Asia Pacific communications manager, David Marx, said “We really wanted to show people that the floods were over and that Thailand was back, and to have (Street View) be useful for tourism around the world.” Google was heavily involved in crisis management during the floods, creating a crisis map which showed the areas affected by the flooding. Google also recently updated its satellite imagery in Japan, to show viewers the progress that has been made in the country since last year’s tsunami devastated the island. 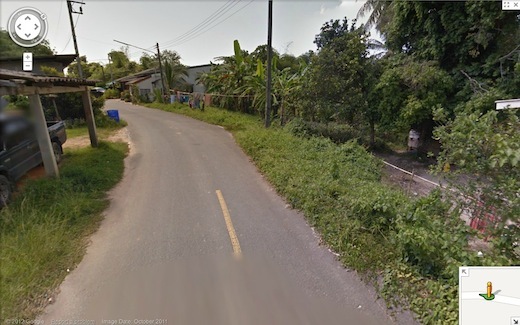 While Thailand has welcomed Google Street View with open arms, its online track record leaves quite a bit to be desired. The Thai government was the first to publicly welcome Twitter’s move to censor content locally, as well as being one of many governments which requested that content be removed from Facebook. Street View has launched in 34 other countries, and Thailand is only the second Southeast Asian country to see the service come to the country, following Singapore.